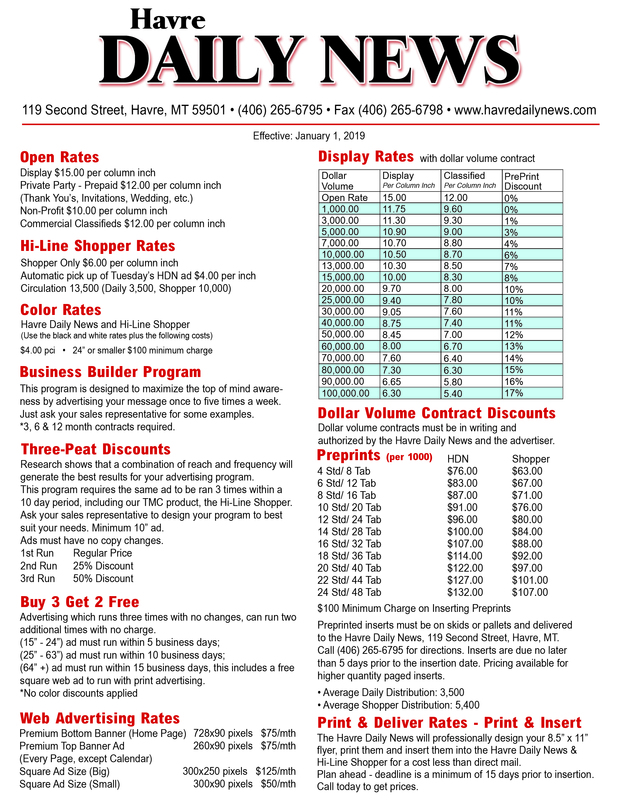 The Havre Daily News offers the most effective and cost-efficient total market coverage to our advertising partners. Serving Hill County and the rest of Northcentral Montana. Our professional staff is available to help you with all of your advertising needs and can be contacted at (406) 265-6795. 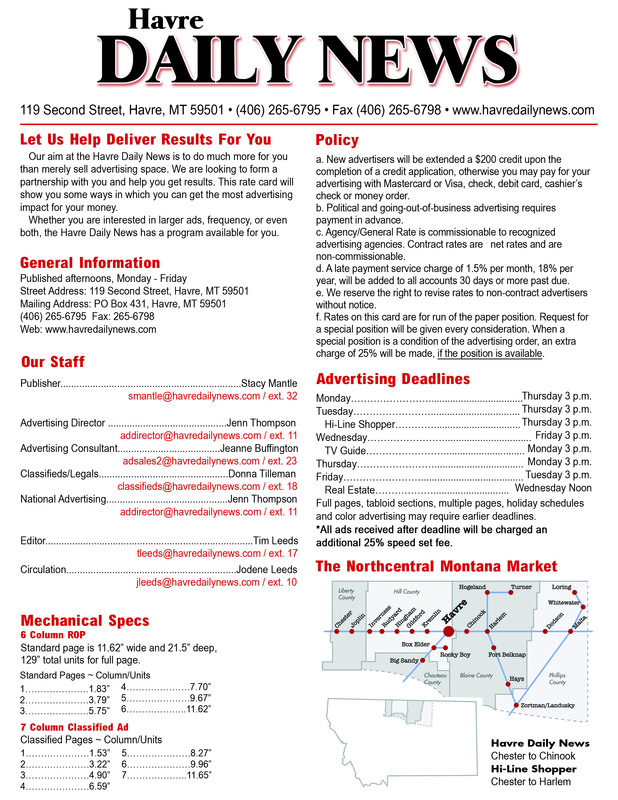 See The Havre Daily News rate card for mechanical, rate and deadline information.